Former Newfoundland politician Jack Pickersgill was among dozens of prominent officials the RCMP suspected of being traitors back in the 1960s. Newly released archival records show the RCMP investigated 68 politicians and foreign service workers at the height of the Cold War. Pickersgill, an influential federal Liberal cabinet minister, was among them. The investigation met with "negative results," but it later emerged that RCMP Sergeant Gilles Brunet had been a paid informant of the Soviets. Newly released archival records show that even the cream of Canada’s foreign service was not immune from scrutiny in the top secret RCMP investigation known as Operation Feather Bed. The legendary Feather Bed probe, which stretched from the late 1950s into the 1970s, saw RCMP security branch investigators pore over the backgrounds of possible Communist sympathizers in the public service and political sphere – including a future Mountie spy chief. There is no evidence the highly confidential investigation ever identified a Soviet agent. Even so, details of the operation have long remained a closely guarded secret; decades after the Canadian Security Intelligence Service took over surveillance duties from the RCMP. A three-page, July 1968 memo reveals the Mounties asked allied intelligence services to check their files for information on 68 senior government officials – most of them current or former diplomats – as part of the Feather Bed investigation. 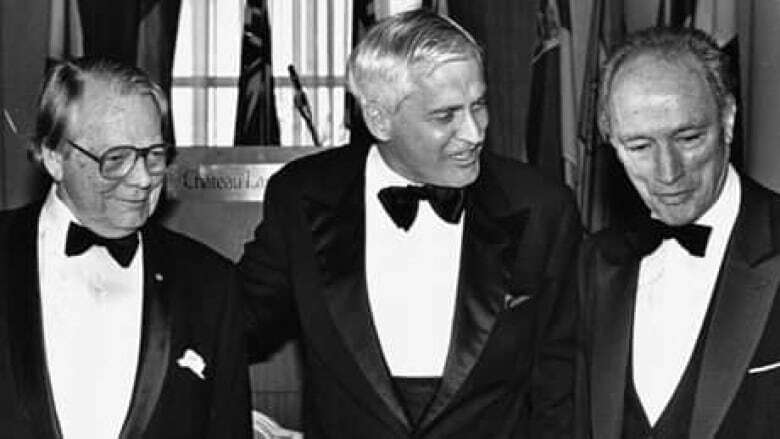 Among them were senior diplomats on the list – George Ignatieff and Saul Rae – had sons, Michael and Bob, respectively, who would become leaders of the federal Liberal party. A cover sheet says inquiries concerning the 68 met with "negative results." However, a handwritten notation to a registry official asks that the memo be placed "on the files of each of the individuals listed in the attachment" – suggesting that RCMP interest was deeper than a simple check with foreign counterparts. The Canadian Press used the Access to Information Act to obtain a copy of the list, long buried in retired RCMP security records at Library and Archives Canada.